I felt the need to share a bit more why being properly fitted to your road or time trial bike is so important. While riding your bike can easily become the most enjoyable discipline of triathlon, it becomes crucial for performance. 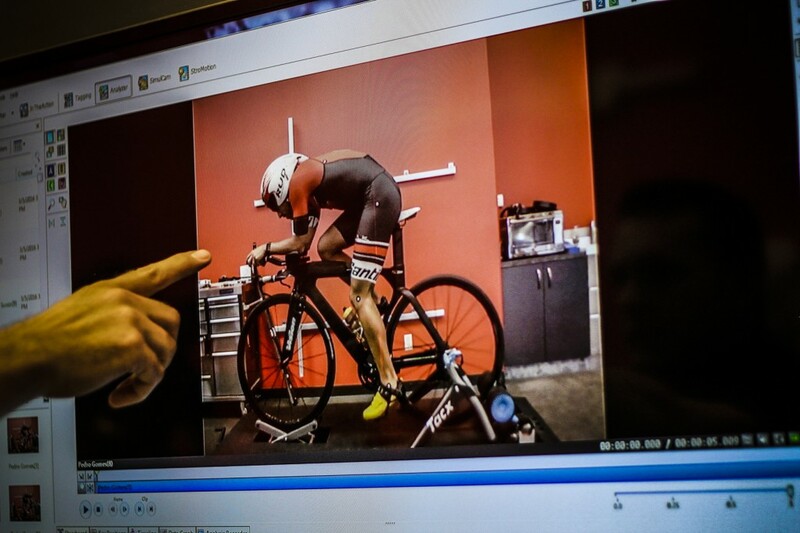 Being correctly fitted is beneficial for things like how comfortable you are on your bike when you really have to apply pressure on those pedals and even safety reasons. Bikes come in different sizes. Manufactures may sell them on a scale from XS to XL or numbers, for example 48 to 56. The numbers usually refer to the length of the top tube while the letter sized bikes are a more general measurement. In most cases, frame sizes are designed and developed to accommodate a very wide spectrum of cyclists, but it seems like it happens way too often that a cyclist falls in between sizes. Before buying a bike, it’s very important that you try and get fitted on the frame first before actually finalizing purchase. If that’s not possible, well, as a rule of thumb you should know that is easier to work with a smaller frame than a larger one. Meaning, adding length to a bike will always be easier – for example with stem length – than removing it. Getting fitted on your bike is not always as simple as hopping on and taking it for a spin, as there are other factors to consider other than just seat post height. During a fit, and especially on time trial frames, it is important to look at your arm/hand placement, leg extension/angles, back position/extension and seating position. You want to be seated comfortable so you can endure long bike rides and that your contact points with your bike need to be ideal, so you are outputting the best power and always taking the most out of your fitness level. 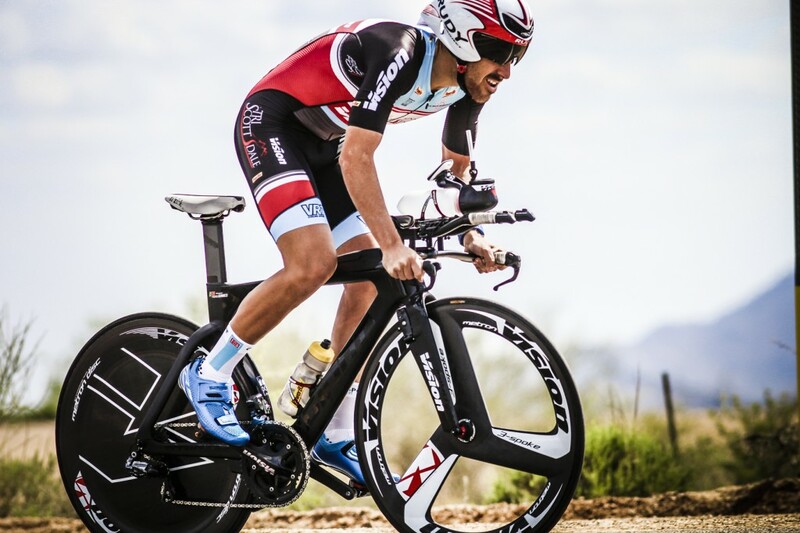 While on long distance events, comfort is probably the top priority on a good fit, on shorter distance races where you are not spending as much time on the bike, aerodynamics is the key and may allow you to go faster. During the fitting process, be aware that not all is dependent on the frame size and that some components may need to be replaced. Nowadays, Vision offers a wide range of components that allow you to play with your position a bit. Aerobars/handlebars along with stem length are probably the more important component on the bike that can be upgraded and influence your fit. Second most is crank arm length, which connects to the pedals and influences your leg extension (when pedal is on the 6 o’clock position) and ability to apply power on the pedals. While a longer crank arm may sound like you will have a better leverage to push the pedals, that only really happens on the down push of the pedal stroke and if the length is too much, your hip angle on the up side of the pedal stroke may be too closed and offer too much resistance to the leg to get past the top position (when the pedal is on the 12 o’clock position). Again, from 155 to 180mm, Vision (and FSA) offers a wide range of crank length options on most cranksets, allowing you to only be left with a choice of model to use. There’s a simple trick to find out if your time trial bike crank arm length is too long: In the aero position and with only one leg clipped on, position the pedal on the 3 o’clock position and slowly pedal your leg backwards, very slowly. If by the time you get to the 12 o’clock position you felt any resistance on your hip/hip flexor, your crank length is probably too larger as that’s the resistance you are “fighting” every time you pedal. If you didn’t feel any discomfort, then your crank length is correct. While a bit fit is important, we are all different individuals, ones more flexible than others. Once you lock down your bit fit with frame, aerobars, crank length and saddle on a position that feels comfortable and is aerodynamic, nothing like a good solid month of riding on it will then determine if your position is solid and tolerable. Small adjustments may initially offer you a love-hate relationship between you and your bike as not everything will feel 100% comfortable at first. If it does, it’s probably not aerodynamic enough. So if you choose a knowledgeable professional to do your fit, give yourself time to adapt.